The Wines of the Valley Wine Trail is back by popular demand and features ALL NEW charm designs! 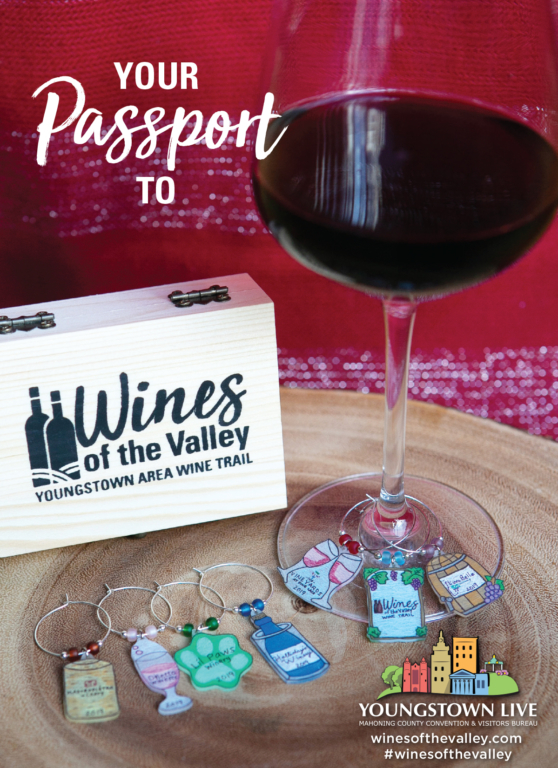 Pick up a passport, and travel the Wines of the Valley Wine Trail — visit each of our six participating wineries listed below, purchase a glass of wine, get your passport stamped and receive a wine charm exclusive to each winery. Collect five or more stamps and redeem your passport at one of our redemption locations to receive a keepsake charm box plus a bonus charm. Offer good through September 29, 2019. Need additional ideas for your wine weekend? Request a FREE Mahoning County Travel Guide. Cheers! Get updates on events and plan your weekend on the Valley Wine Trail!